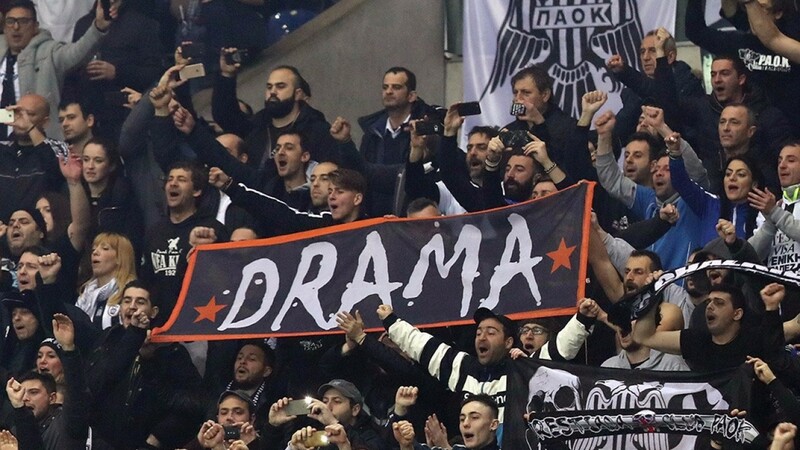 PAOK Salonika have participated in the Europa League group stage for the last four seasons and they can keep the run going by eliminating Swedish side Ostersund in the playoff round. The Greeks are handily placed for the second leg in Sweden after coming from a goal behind to win 3-1 in Thessaloniki last Thursday. Serbian striker Aleksandr Prijovic made the difference with two goals inside the last 15 minutes but the final score was a fair reflection after the hosts had dominated the game, winning the shot count 16-4. PAOK's late onslaught was too much for Ostersund, who have done well to reach the playoff round in their maiden European campaign. The Swedes sprang a major surprise in the second qualifying round by defeating Galatasaray 3-1 on aggregate but a truer reflection of their abilities was revealed in the third qualifying round when they beat Luxembourg minnows Fola Esch by the same margin. Ostersund, managed by Englishman Graham Potter, are eighth in the Swedish top flight and extended their winless run to four games with a 3-0 defeat at home to AIK Stockholm on Sunday. They will have to push forward in an attempt to turn the tie around but that will only increase the space for PAOK, who can hurt them on the counter-attack. Another Greek side worth backing are AEK Athens, who did the hard part by holding Club Brugge to a 0-0 draw in Belgium last Thursday. AEK should fancy their chances in the Greek capital, where they lost just one of 15 home league games last season. Their task in the first leg was made more complicated by the 58th-minute dismissal of Croatian striker Marko Livaja but they competed well over the course of the game and finished level on the shot count (11-11). Brugge are still in with a good chance, knowing that a score draw will see them through, but the value bet is to plump for the home victory. Bulgarian champions Ludogorets hold a commanding 2-0 lead over Lithuanian side Suduva after last Thursday's home leg and they can finish the job with a convincing win on the road. Ludogorets needed second-half goals from Cosmin Moti and Virgil Misidjan to get the job done on home soil but they were almost totally dominant against their Lithuanian opponents, who failed to register a shot on target. Suduva will have to open up and come forward but they are likely to be outclassed.